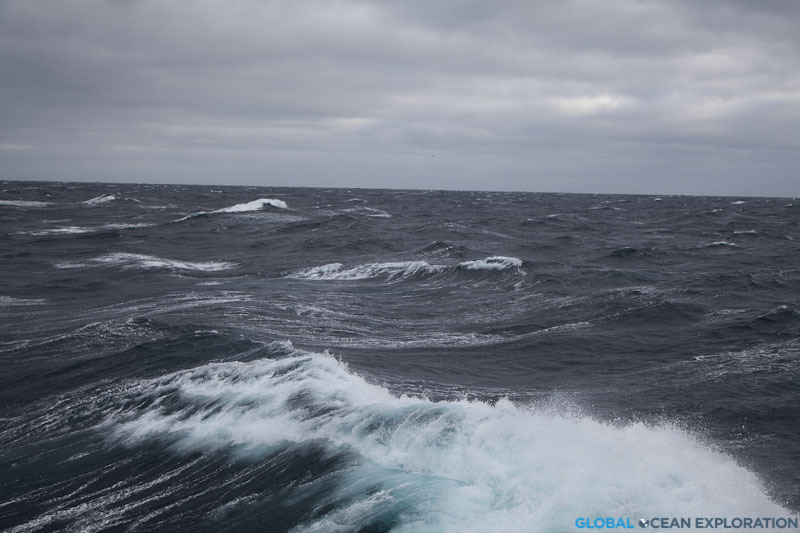 We are in our final transit day to Dutch Harbor and we are witnessing the Bering Sea in all her glory with rough seas and strong winds. 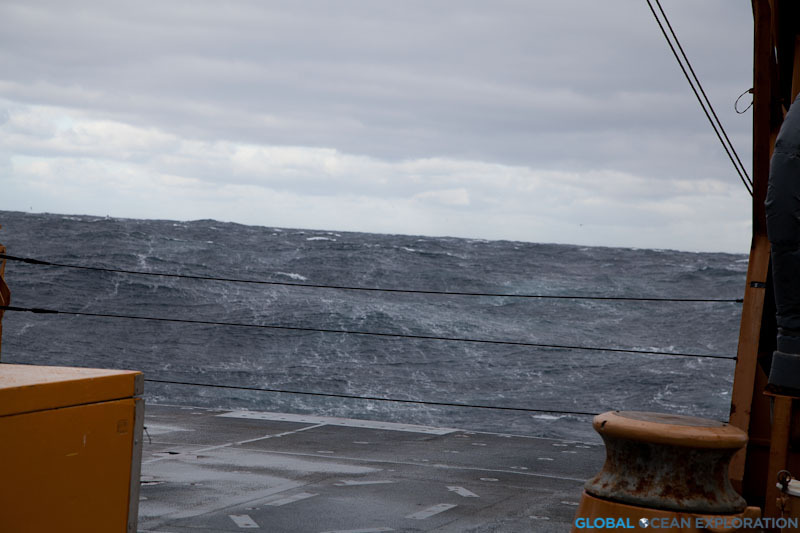 It is magnificent to see the Bering Sea like this with waves going every which direction and a fierce wind blowing. We are getting into Dutch tomorrow afternoon and enjoying every minute of this display of power. Although being rocked about is a little tiring. A wave behind the stern of the ship…we have a following sea…a VERY big one at that! This entry was posted in Arctic, Climate Change, Ocean Acidification and tagged Bering Sea, High Winds, rough seas on October 27, 2011 by Gaelin.